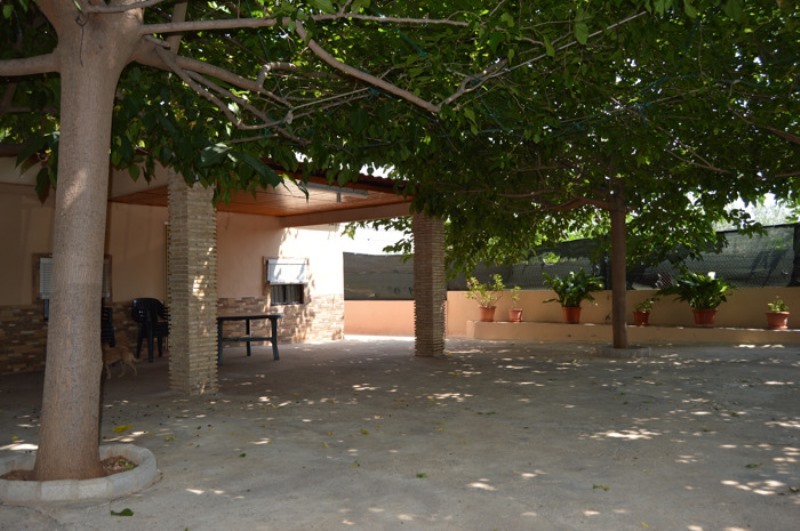 Detached villa, 3 bedrooms, located at Xàtiva, within the Valencia province. Perfect place to live all year. The property it is only five minutes drive from the city, with a bus stop just at 250 meters., which connects the city in a couple of minutes. In the vicinity there is a tennis club, restaurants and a myriad of picturesque places you can walk and to enjoy the enviroment of nature. It is also close to the natural park of “La Cova Negra” and the Albaida River. The plot is 1.141 sqm and it is partially fenced. It is divided into two levels, the first in which the building is located and the second corresponding to an area of land that is intended for a pool in the future. The villa has a 106 sqm build area and it has a very simple layout with: a lounge almost 30 sqm with fireplace, three bedrooms (two doubles and one single) all of them with exterior window, 9 sqm kitchen with a small pantry, bathroom with exterior window. Mains electric and water. Landline telephone was connected and therefore the possibility of internet connection. The windows are wooden, like interior doors. In general it needs some improvements (kitchen and bathroom) but the state of the roof and the interior are very good. 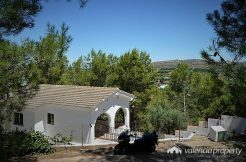 Outside it has a good sized covered porch facing east (sunrise) and the mountains of the foothills of the Sierra de Mariola in the south. It is a property that offers many possibilities, simple but well constructed, without excessive land area excellently located with respect to the area where it is located and with very little refurbishment work can be transformed into your ideal home for summer holidays or for living all year enjoying the magnificent views of the surroundings.